On the western bank of the Rhine and not far from the seat of the UN Climate Change Secretariat, world leaders are discussing how to push ahead for international joint action to tackle climate change and implement the 2015 Paris Agreement. 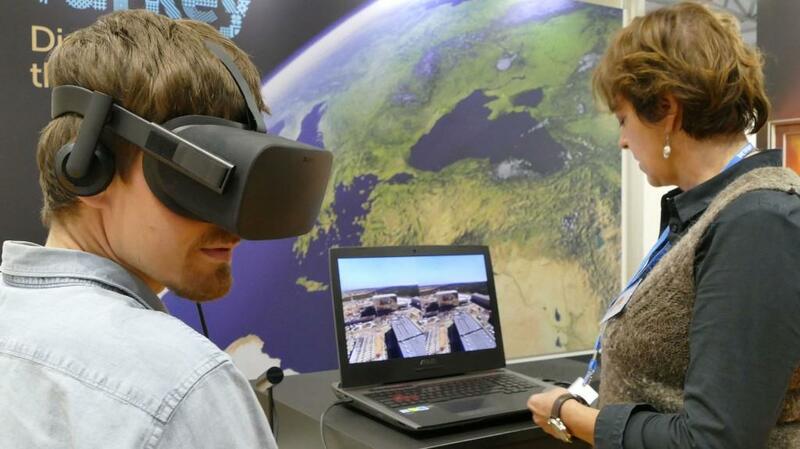 In Bonn, Germany, fusion is present through the ITER stand, where there is a lot of interest in the quest for a cleaner form of energy ... and in the Oculus Rift virtual tour of the construction site in southern France. In complete silence, Fijian warriors walk into the assembly hall at the opening of the UN Climate Change Conference, COP23. They perform their traditional welcome ceremony of preparing and sharing the Kava drink made from the root of a local Fijian plant. The recipient is Barbara Hendricks, German Minister for the Environment, Nature Conservation, Building and Nuclear Safety. Looking very impressive even on a public display screen, it was a highly unusual opening for an international conference. But it drove home the message of urgency. As a Pacific island nation Fiji is extremely vulnerable to the impact of climate change; it is fitting indeed that Fiji is presiding over this conference, held from 6 to 17 November in the German city of Bonn. 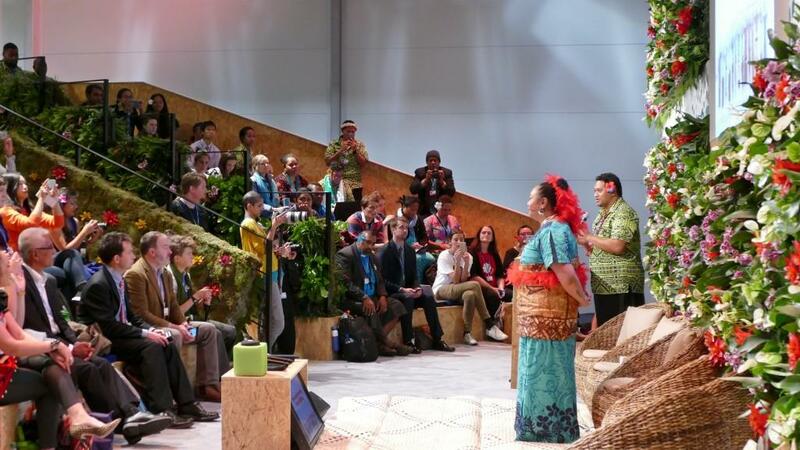 "We are all sitting in the same canoe," said Frank Bainimarama, Prime Minister of Fiji, at the opening ceremony. "So let's make the hard decisions that have to be made for the sake of ourselves and the generations to come." A few kilometers from the high-level political discussions is the Bonn Zone, where the global relevance of climate change is also visible. Countless meetings, discussions and workshops take place in side rooms, at exhibition stands, over coffee or in the halls. 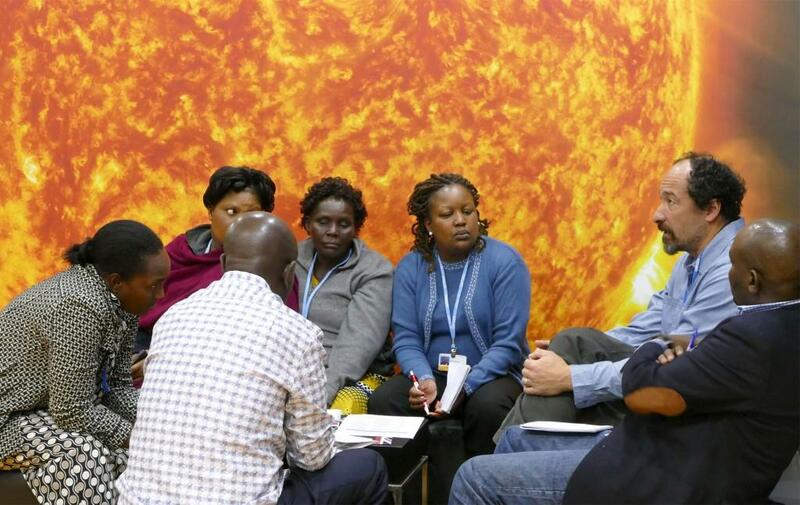 It is here where government offices, civil society activists, scientists, youth organizations, industry as well as several international organizations present their ideas, initiatives and actions to deal with the consequences of climate change. A bit of dexterity is required to enjoy the simpler, cardboard viewer. 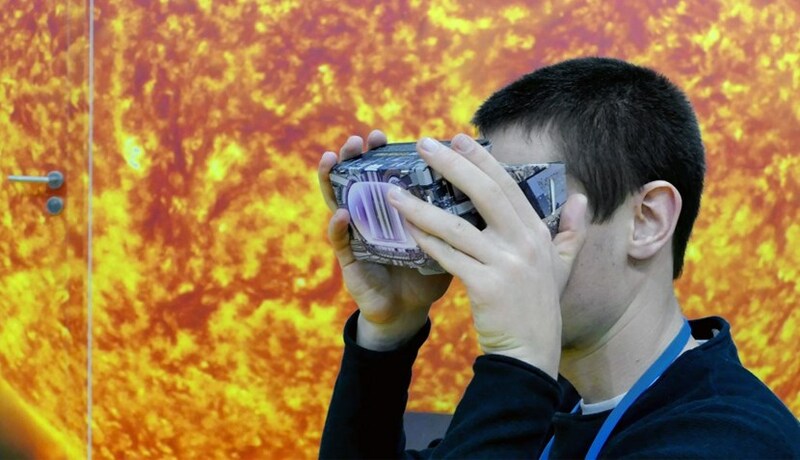 With this tool and a mobile phone one can access the 3D virtual tour of the ITER construction site from any location. With its quest for carbon-free, safe and abundant energy, ITER fits right into this vibrant and buzzing atmosphere. 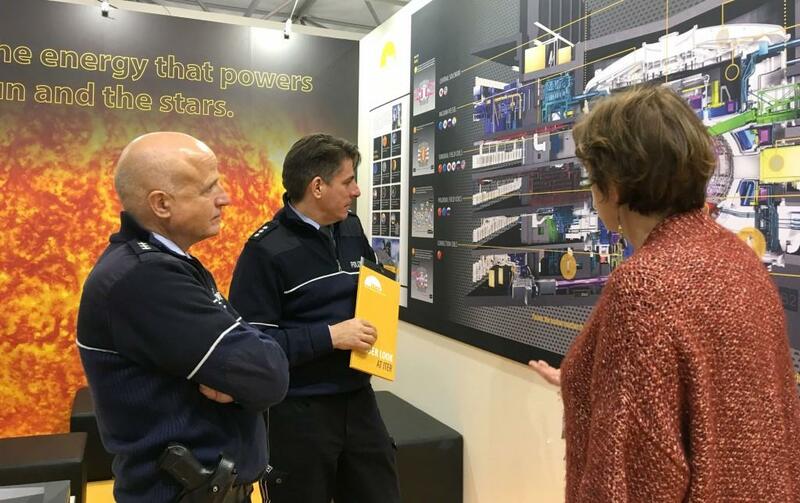 The ITER stand hosts a constant stream of visitors wanting to know more about the process of nuclear fusion, the progress with the building of the research reactor, or the scientific and technological challenges this ambitious project is facing. Most visitors, having never heard of the project, are impressed. A German police officer compares the ambitious endeavor with the TV series Star Trek. A visitor from Canada, after taking a virtual tour of construction, feels that the work on site alone is futuristic. 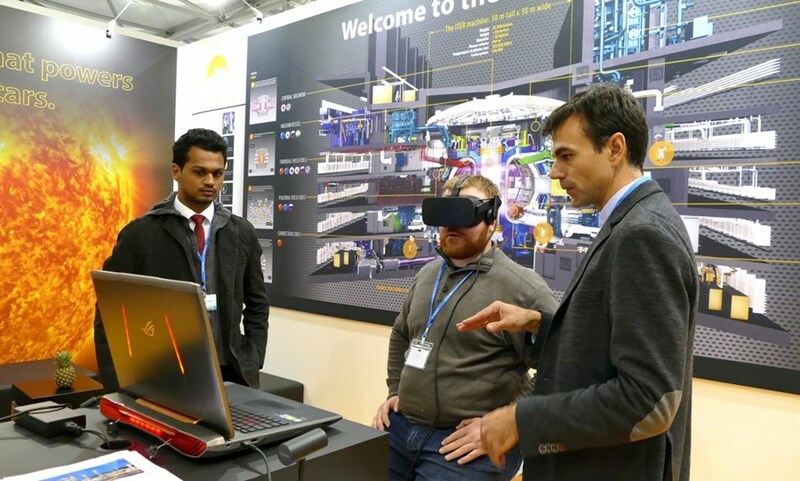 The ITER stand attracts younger people in particular as they realize the advantages, hopefully in their lifetime, of a new source of clean energy. They are also particularly receptive to ITER's collaborative model—35 nations joining efforts across continents and borders—as a way of addressing important global issues. As COP23 enters its second week expectations are high. It is hoped that the conference—with its 25,000 participants from all around the globe—will find a common understanding on practical actions and solutions to the many climate-change-related problems. There is agreement among all on one issue: time is short. As Frank Bainimarama said at the opening: "Let's get this job done." Fiji is presiding over COP23 in Bonn with the support of the government of Germany. As a Small Island Developing State, Fiji is bringing particular attention to the effects of climate change on low-lying islands. Some 25,000 participants from across the planet are taking part in the discussion. With its quest for a new source of carbon-free and abundant energy, ITER fits right into the vibrant and buzzing atmosphere of the Bonn Zone. Many visitors to the stand are learning for the first time about fusion and ITER. The ITER stand also provides a comfortable setting for impromptu discussions. After a full briefing on ITER, these policemen compared the project to the Star Trek TV series of their youth. And indeed Nasa is developing research on Direct Fusion Drive—a unique fusion engine concept with a physically feasible approach that would dramatically increase the capability of outer planet exploration. 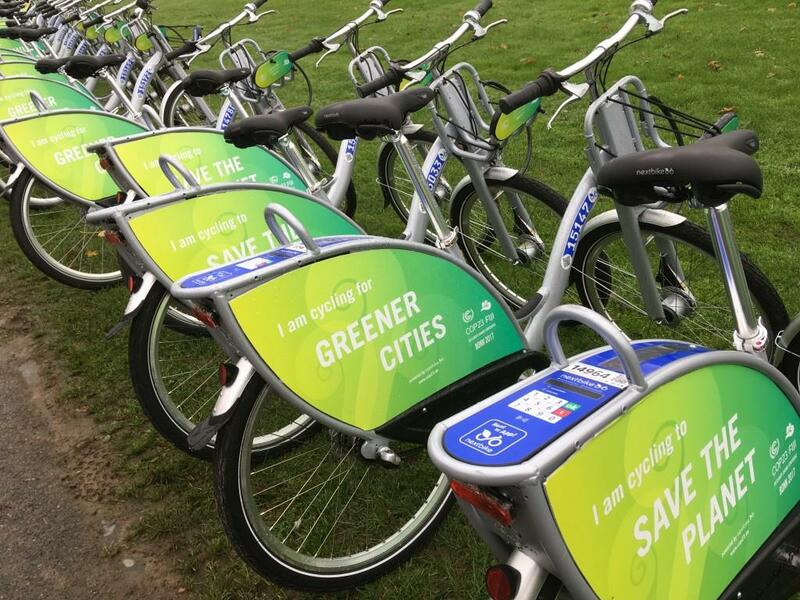 COP23 has adopted many environmentally friendly policies. Each participant receives a free re-usable water bottle and water fountains are widely available. Carbon-free electric shuttle buses connect the two conference zones, and bicycles are made available, free of charge, to participants.